A Place to Learn About the Best Home Water Filters For Great-Tasting, Purified Water at Home and Elsewhere. So, you want to filter your water, huh? But you’re not sure where to start? Maybe you just need a little bit of help to see what is even available. Well, you’ve come to the right place, because these are the very questions this site is meant to help you with. At this point, you likely have an idea of the type of filter you want for your place. After looking around this site a bit, you’ll have an exact idea of the filter or system that’ll fit your needs and why. Everyone needs clean water, but as you’ve probably seen in the news over and over, you cannot count on clean, safe water at your tap, even if it comes from a municipal treatment plant. In fact, many science research papers have been written about how environmental pollution and heavy industrial pollution has found its way into most tap and well water. These contaminants can at the least, make the water taste bad, at the worst, lead to long-term health problems. On the news, you’ve likely seen one emergency after another where drinking water has been seriously contaminated and affected tens of thousands of people. Often times, people were consuming tainted water long before they were even aware of the contamination. Practically all sources of drinking water, from above ground sources like lakes, rivers, glaciers and such, to underground sources like groundwater and aquifers, and even treated water from municipalities have some level of contamination. You’re right to be concerned. You’re right to filter your water. Doesn’t The Local Treatment Plant Make My Water Safe For Drinking? Today, there are literally thousands of chemicals in the environment that weren’t there decades ago. Industrial processes and pollution, agricultural, residential and natural contaminants find their way into water sources continuously. Municipal drinking water plants, as good a job as they do, cannot and do not remove all of them. Additionally, in order to disinfect the water from live pathogens, they’ll add their own chemical contaminants to the water to kill them. The chemicals they use, like chlorine and fluoride are themselves scientifically known to be harmful to humans and animals. While many contaminants have been removed from the water and microbes have been killed off, contaminants like pharmaceutical drugs, chemicals and heavy metals may still be in the water after municipal treatment. Additionally, new microbial and chemical pollutants may enter the water stream en route to your home. How Bad Can the Quality of Groundwater Really Be? The leading worldwide cause of death and disease is caused by consuming contaminated groundwater or bodies of water. This isn’t just in remote places, it routinely occurs in developing and industrially developed countries, as well. Anything can affect the purity of water, from natural disasters and human activity, such as pumping the ground with toxic fracking fluids. Nearly half of all bodies of water in the United States are classified as being polluted. We cannot trust that our water is safe to drink or even bath or shower in. 1. Clean-tasting Water: Even the most basic carbon filter will provide better tasting water by removing chemical smells and flavors. 2. Healthier Water: By filtering your drinking water, you will have eliminated many things that may be affecting the health of your family and you. 3. Confidence: When you filter your water, you’ll be confident that you are not consuming harmful pesticides, herbicides or heavy metals. 4. Chemical Free: By filtering your own water, you can avoid the harmful chemicals that leach into water from plastic bottles. If you decide to go with a more capable Reverse Osmosis system, in addition to general filtration, you can also be sure that your drinking water is free of harmful chlorine and fluoride chemicals and free of many other environmental contaminants. 5. Cost Effective: Although your purchase of a filter system will cost you up front and in replacement filters, you will save a lot of money as compared to continuously buying bottled water. 6. Convenience: Once your filter system is installed, you’ll realize how convenient it is to be able to just turn the tap and have clean, purified water flowing into your travel mug, drinking glass, or cooking pot. 7. Improves Your Health: The habit of drinking purified water will help keep your organs and immune system healthy. It also has a large impact on the health and youthful appearance of your skin. See my post on the skin benefits of drinking water. https://yourhomewaterfilters.com/skin-benefits-of-drinking-water. 8. Helps the Environment: By filtering your own water at home, instead of buying bottled water, it will save you from having to deal with hauling all that heavy bottled water, and dealing with all those empty bottles afterwards. If you live in a state that doesn’t mandate a return policy, most likely all those bottles are going into a landfill nearby. What’s in My Water? Should I have it Tested? Regardless of your water source, if you suspect that lead is in your tap water, you should test for it. Even if water supplied to your house is free of lead, pipes in older houses may be leaching lead into the water. If you do suspect lead contamination, test every faucet that your family is likely to use for drinking purposes. Some, but not all, pitcher and faucet water filters can remove lead. Make certain that the filter you select is certified by NSF International to remove lead. If you get your water from a public water system, your water is being monitored and tested regularly. Results from these tests are reported to state and federal agencies that are to assure that the National Drinking Water Standards are being met. Sometimes, water reports are automatically sent to customers on an annual basis, but if you don’t receive one, by law, water utilities must send a free water quality report when it’s requested. Your water company is supposed to notify its customers and government agencies of any contaminants that happen to pass through their system and into the water supply, but as we’ve repeatedly seen over the years in the news, many times the public has consumed highly contaminated and even toxic water, long before the contamination was ever shared with the public. You can’t always trust that your water supply is safe. If your water come from your own private source, you alone, dear owner, are responsible for making sure it’s safe to drink. Therefore, you should set a schedule to test it regularly, perhaps once a year. You may want to visit the EPA’s site for information on Home Water Testing. Do you live in a small apartment or dormitory where you must use a small countertop filter? 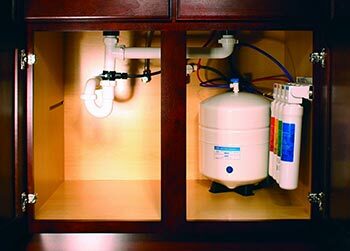 Do you own your house, where you can install a full under the sink system? Do you get your water from a city or town utility, or from a private well? Do you live near industry or farms? Do you want a simple filter that will just take care of chemical smells and tastes from the water? Do you want a complete filter system that will virtually eliminate all contaminants from your water? What’s in your water or do you know specific contaminants you want to filter? Generally speaking, the larger the physical size of a filter cartridge, the more filtering capacity it will have. This is just a general rule. There are many other factors that determine the ability of a filter to do its job of removing contaminants from drinking water. Quality varies dramatically between filter brands, which we will visit in the reviews. Filters are engineered to specifically remove certain types of pollutants. Filters will separate contaminants either mechanically, or chemically. Mechanical filters will purify by forcing water through a porous filter material like spun nylon, or a synthetic foam material, or other types of spun fiber pads. These materials are very good at capturing larger particulates from the water like dirt and silt from the water. A sediment filter is a very common mechanical filter. A Reverse Osmosis filter membrane is a very high-tech, mechanical type filter that is capable of removing contaminants on a far smaller, microscopic scale. Chemical filters purifies water by capturing substances through a process of adsorption, as opposed to absorption. Absorption is when one material will soak up or entrap another material, as happens with most mechanical filters. Adsorption is the process of capturing impurities and toxins with chemical bonds, binding to the filter material, as the water flows across the material and through the filter cartridge. This effectively pulls the contaminants from the water stream. An activated carbon filter is a good example of a chemical filter. A filter system that incorporates several stages of both mechanical and chemical filtration will be more effective at purifying water. It’s important to consider the ease of changing out the filters. While under counter filters might be more convenient as far as usage and low maintenance, they aren’t as easy to get access to when it’s time to change those filter cartridges. A filter system that’s installed in the cabinet under the kitchen sink is usually fairly cramped. When I need to change out my filters every 6-months or so in my RO system, I have to get on my hands and knees on the hard kitchen floor to do so. I’ll put down a folded up towel or something soft to kneel on. I then need to lean into the cabinet to reach the filters. A countertop system is easier to maintain, even if I had to change the filter(s) more frequently. Under the counter filter systems have an advantage over countertop water filters in that the filters last for months. Under counter water filters are generally larger filters. This in itself will allow them to last longer than smaller, filters. This means you’ll enjoy the convenience of having pure water without the frequent maintenance of countertop type filters. Water flow through a Reverse Osmosis Cartridge. Reverse osmosis systems use a combination of mechanical and chemical filters, in addition to using the ultimate filtering ability of the RO membrane, to produce an unmatched filtering system. However, with most RO systems, for every one gallon of water that’s filtered, four gallons of water are sent down the drain as “waste water”. Due to the concern of waste, some RO manufacturers have produced “Zero Waste RO” units. These zero-waste units, however, have proven to sometimes be problematic, as they can re-deliver concentrated waste water back into the incoming water stream that feeds the filter system. A better solution offered by manufacturers, has been to offer an optional permeate pump that works with the RO System to reduce waste water by up to 80%. You’ll learn about this optional permeate pump in the reviews. Easy to use and to maintain. Different models and brands have different effectiveness. Carbon is perhaps the most common material used to remove impurities from water. There are two types of carbon filters and each has advantages and disadvantages. There is Granular Activated Carbon, and Solid Block Activated Carbon. The term “activated” is used when the carbon material has been modified to create extra surface area within the material to for more filtering ability. It’s a high-temperature process that creates a matrix of millions of microscopic crevices and pores in the material. Activated carbon is also referred as “activated charcoal”. This material is ideal for capturing chemicals and unwanted tastes and odors from water. Carbon filters are usually used in combination with other types of filters. By placing carbon filters before and after other filter types, such as a reverse osmosis filter, it makes for a much more effective and well rounded water purification system. 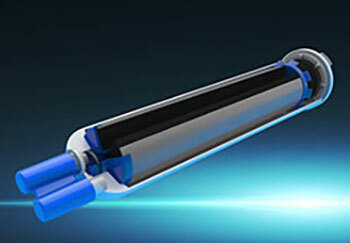 Alone, it’s not as effective at removing total dissolved solids, water hardness or heavy metals. Ultrafiltration filters will screen out much smaller suspended solids and particles than carbon filters, but not as small as a reverse osmosis filter does. These filters can be used as the primary means of filtration or as a prefilter to protect a downstream reverse osmosis filter from premature clogging (fouling). Reverse Osmosis (RO) filtration is one of the most effective and economical ways to purify water. It’s used industrially in large systems to purify water, but you can choose from several brands of RO systems developed to purify drinking water right at home. These amazing filter systems are capable of eliminating contaminant sizes down to 0.0001-0.0005 microns in diameter, much smaller than ultra-filters. This is small enough to remove virtually all microbial contaminants like bacteria and viruses, particles, and most dissolved organic contaminants and inorganic compounds. See post: How Does Reverse Osmosis Work to learn more about how RO works. Removes all kinds of contaminants to a very high degree of purity. Reverse Osmosis produces water that is much purer than can be produced with countertop and water faucet filters. Once fresh filters are installed, you can go for many months before needing to replace the filters again. The RO filter is very restrictive, which limits the flow and quantity that can be produced each day. However, the storage tank that’s provided with these home systems is usually large enough to prevent shortages of filtered water for the whole family. Produces waste water that’s sent down the drain. In the latest systems, manufacturers have introduced effective ways to mitigate this waste. Countertop water filters are not as effective as reverse osmosis at removing many contaminants, such as fluoride, arsenic and selenium. However, some countertop filters employ the use of Activated Alumina, in which the water is filtered through a bed of granulated activated alumina to remove these pollutants. Demonstrated to be effective at removing fluoride from water. Home Countertop Distillers make small production of distilled water easy. The appliance is first filled with tap water, which is then heated to boiling. Water vapor rises to the top of the vessel, leaving virtually all contaminants are behind. A condenser then cools the vapor back into water. This purified water is then directed out of the spout and into the glass decanter. Consumes large amounts of energy – about $0.46 per gallon. Very slow process: Takes about 5 hours to make 1 gallon of distilled water. Loud hum of fan, which runs continuously. Click here to see the best home water distillers. As industrial, agricultural, pharmaceutical and natural pollutants have contaminated much of our water resources, you’re right to be concerned for your health and wanting clean drinking water for you and your family. For these reasons, you must consider using some kind of water filter. Whether you demanding purified drinking water, filtered shower water, or to filter all the water that feeds your home, these filters and systems are just a click or two away.